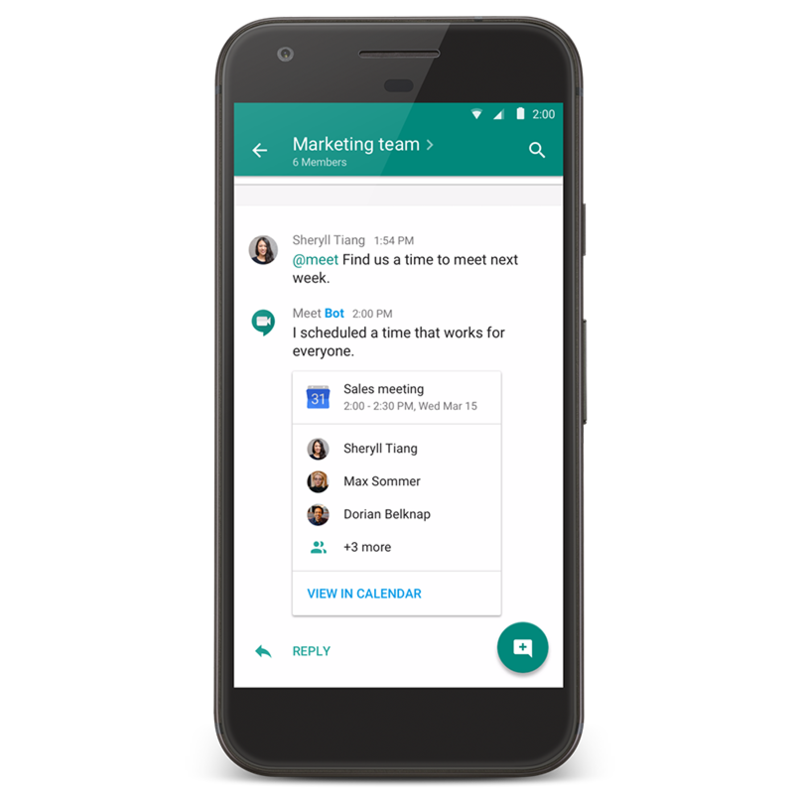 After the announcement of Duo and Allo, the newest in a long line of Google messaging apps, Google made it clear that Hangouts would be re-positioned for corporate use. Last month, a new 'Meet by Google Hangouts' app appeared on the iOS App Store, revealing that a major reworking for Hangouts was nearing completion. Now, Google has officially announced Hangouts Meet and Hangouts Chat. First up is Hangouts Meet, a video-conferencing platform with the goal of making online meetings as painless as possible. Meetings can be started simply by sharing a link - no fiddling around with logins, plugins, or native applications. Up to 30 participants can join in from the web, the mobile app, or even with a dedicated dial-in phone number if you are a G Suite Enterprise customer. Next is Hangouts Chat, which is far more like Slack or Microsoft Teams than the previous Hangouts application. It supports multiple virtual rooms for each topic, threaded conversations, integration with other G Suite services, and a filterable search. Much like Slack, Hangouts Chat will also support integrations with other services and bots. 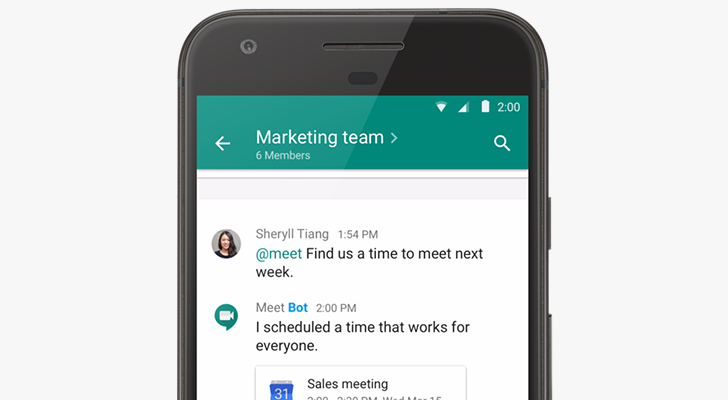 Google's first Hangouts bot is '@meet,' which uses natural language processing to automatically schedule meetings. 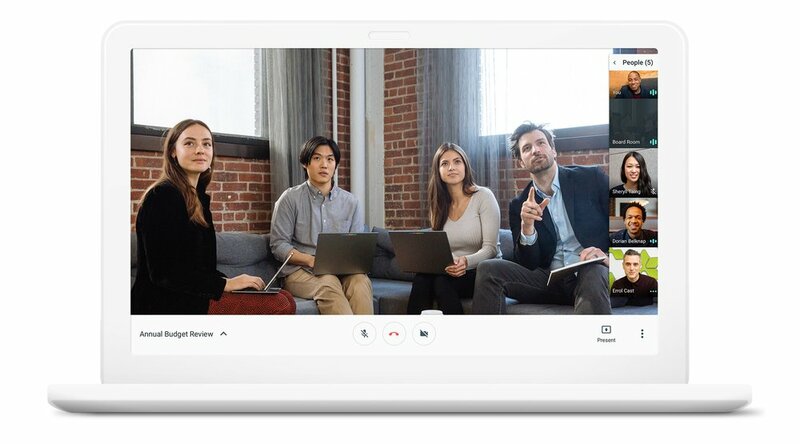 Although I think Meet and Chat are both drastic improvements over Hangout's previous video chat and messaging abilities, the original app's future is uncertain. I'm willing to bet Hangouts, despite being neglected, still has far more users than Allo and Duo. Hangouts is also still deeply-integrated with Project Fi.